A dry light-bodied white rum lightly sweet in flavour yet crisp in the style of Bacardi. Great in cocktails and well suited to any fruit cocktails. 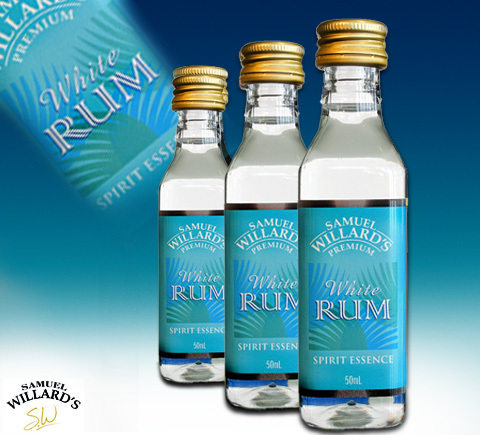 Samuel Willard’s Premium White Rum produces 2250mL of spirit from each 50mL bottle of essence.